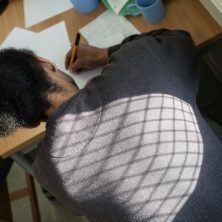 Flash Fiction grew out of Safe Ground’s association with the University of Essex, which stemmed from the GROUNDation Poetry Project. Jonathan Crane a PhD student at the university proposed the idea after attending Safe Ground’s 21st Birthday Open House event in July 2016. 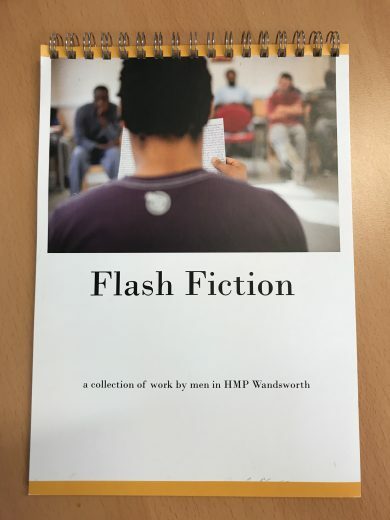 The strategic aim of Flash Fiction was to continue the engagement with literature, artistic creativity, literacy, and the library space at HMP Wandsworth. The participants wrote their stories around the theme of epiphany. There were two workshops that were both two days long and took place at the end of November 2017. They were facilitated by Jonathon Crane and supported by Safe Ground staff. A total of 12 participants completed this course and each produced a selection of short stories for submission. The workshop provided participants with a creative space to produce and perform a piece of Flash Fiction. People who had never written before found a voice, and people who were familiar with writing tried something new and extended their range. A Flash Fiction booklet was published which contained 14 short stories written by the participants. They were able to develop their writing and storytelling skills as well as gain a better understanding of the moments of epiphany in their own lives. Participants found they were surprised in their ability to write a well-structured story with a clear beginning and ending. A further positive the participants found was that they could learn from others in the group.